The well-traveled person knows all too well the spiritual enrichment that comes from visiting religious sites around the world, how experiencing the myriad ways people worship will feed the soul in ways nothing else can provide. With more ancient worship sites continuously maintained and still in prominent use today than any other country, the experiences that await you in Japan can’t be matched anywhere else! Shinto, known as “the way of the gods” and built on the foundation of honoring your ancestors as well as divine deities, is the religion of ancient Japan. 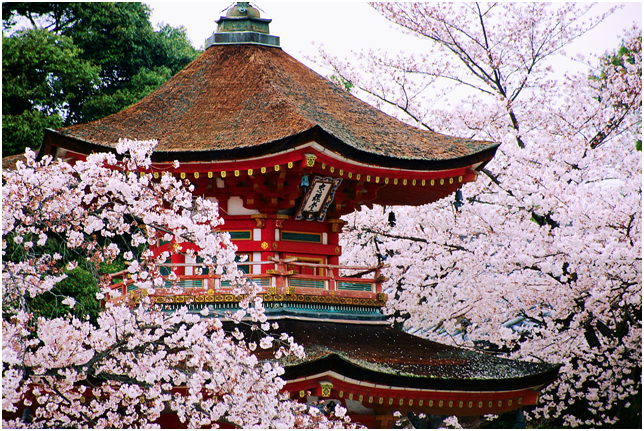 Shinto was first documented in writing in the 8th century but existed for millennia prior, while Buddhism made its way into the country in the 6th century. They make up over 80% of the country’s religion, and have coexisted harmoniously for over a thousand years, with many Shinto shrines and Buddhist temples sharing grounds in the same worship complexes. Even upon approach, Senso-ji Temple will instill you with awe. The huge Thunder Gate, the Kaminarimon, looms in the distance like a crimson storm, enormous and hypnotic, with larger than life statues of Fujin, god of wind, and Raijin, god of thunder. These statues are posed on either side of the gate to watch visitors as they walk beneath the 1500-pound, 13-foot-tall paper lantern painted scarlet and black like a flame of lightning and pass through the gate into the street beyond. As you enter, be sure to take a moment to turn around and thank the dragon gods, Tenryu and Kinryu, who will guard you on your visit. Their statues, a gift to the temple by 106-year-old master sculptor Hirakushi Denchu, are positioned at the rear of the Thunder Gate where they can look out over the Nakamise-dori. This street is lined with stalls and vendors participating in a living tradition dated back several centuries of selling goods and wares to pilgrims making their way to the temple. When the cherry blossoms are peeking out over the tops of the stalls and the air is thick with the scent of divine incense said to bless and heal any body that bathed in its smoke, and when the sound of the o-mikuji oracles shaking their cups of painted sticks while the Treasure House Gate, the Hozomon with its gargantuan Nio guardians protecting the entrance and the National Treasures housed inside, towers over the end of the Nakamise-dori, you’ll be hard-pressed to find a more iconic image of Japan. For a relatively small island-nation, Japan’s impact on the world is impressively oversized. Sushi and sake are popular staples in cities across the globe. Japanese innovation in technology informs the way we communicate, travel, shop, and even chart the stars. And from a cultural standpoint, Japanese influence can be found from fashion to film, and everything in between! Before you head out on your trip to the Land of the Rising Sun, check out these ten films that will not only whet your appetite, but also expand your understanding of this fascinating culture. You’ve probably heard of the Academy Award-winning animated film Spirited Away, but did you know that when the film was theatrically released in 2001 it became the most successful film in Japanese history? Anime (Japanese animation) is so prominent in the country that hundreds of thousands of people gather each year for festivals surrounding the characters, art, and stories. Spirited Away tells the story of Chihiro, a young girl who wanders into a magical world ruled by witches and spirits, and where humans obsessed with worldly greed are transformed into beasts. The film is infused with a variety charming lessons steeped in traditional Japanese folklore. More importantly, Studio Ghibli films are well-known for depicting daily life in Japan in great detail—especially the often overlooked, quiet moments such as pouring tea, making offerings, or lighting incense. In one such moment, Chihiro sheds tears of relief having found joy in a gift of rice balls from a new friend. If you’re in Tokyo, consider stopping by the Studio Ghibli Museum during some down time to get an insider look at all of the wonderful films made by this award-winning animation studio! Each week across our social media channels, we feature traveler submitted Fan Photos! Our travelers LOVE to share their experiences from across the globe: from bucket-list destinations and breathtaking safaris to people-to-people experiences and so much more! Take a look at some of our favorites from the last few months. Friendly Planet travelers: want to submit your travel moments to this running series? Email a few of your favorite photos along with captions to [email protected]! As travel professionals, we get this question all the time, “Where’s the best place you’ve ever been?” So we asked one of our amazing Reservation Agents Liz to weigh in! See below for some of her personal travel favorites…. so far! Bangkok is of course the favorite city of most visitors, but I also loved northern Thailand, especially Chiang Mai and Chiang Rai. Among the tiered tea fields and charming villages, you’ll encounter treasures around every corner. One of my favorite memories was of Wat Rong Khun, AKA White Temple, en route to Chiang Mai. After seeing so many temples in Asia, this one stands out with its modern and incredibly detailed design. In 1996 the artist Chalermchai Kositpipat, using his own money, chose to completely rebuild this temple himself. Over a million dollars later, it’s still a work in progress, and is hoped to be completed by 2070. Aside from traditional Buddhist imagery, you’ll see movie references like the monster from Predator rising from the earth. Eliciting both smiles and serious thoughts, this stop on the tour was well appreciated. 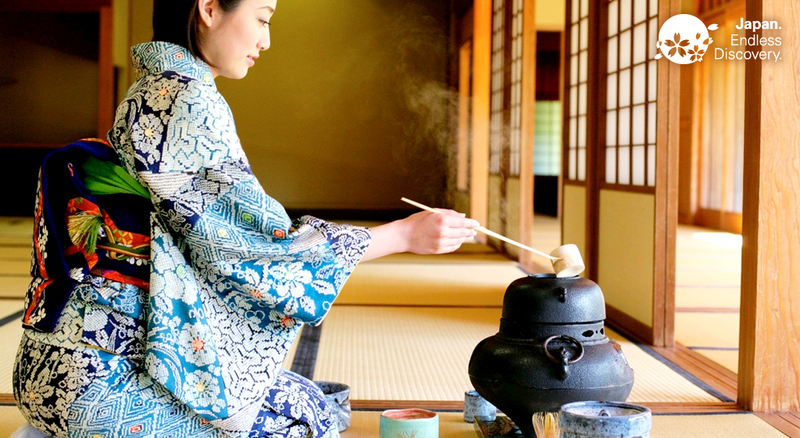 The Japanese Tea Ceremony, also known as the Way of Tea, is steeped in ritual and tradition, and can sometimes seem intimidating to the casual tourist. Luckily, we discovered this beautifully shot 3-minute video by Saneyuki Owada. It’s a presentation of the Way of Tea by Tea of the Men, a Japanese culture art performance group whose mission is to make the Japanese Tea Ceremony more enjoyable, more interesting, and easier to join for all. Japan has been one of our favorite destinations for a long time. But we were forced to cancel all departures in March 2011 when one of the most devastating earthquakes ever recorded rocked the east coast of Japan. So in 2011, Friendly Planet Travel didn’t send a single traveler to this fascinating country. But we’re excited to announce today that Friendly Planet Travel is once again resuming tours to Japan with a brand new series of departures on our Japan Panorama tour. We know it’s our time to return to Japan because you have been calling and writing to ask us when our departures would start. And for our part, we could not be happier to resume our tours. We know what a beautiful destination Japan is and how much it is appreciated by everyone who visits. And on a personal note, tourism to Japan has truly suffered from the aftermath of the earthquake and tsunamis that followed. We can’t wait for our friends in the Japanese tourism industry to begin to feel the recovery by seeing the smiling and friendly faces of our travelers arriving to tour the country. A recent survey conducted by the Japanese government found that 82 percent of Japanese people feel favorably towards the United States and its people. Visitors who go to Japan will sense the warmth and friendship as soon as they arrive in the country, along with it’s gorgeous scenery. Japan has dramatic scenery and ancient monuments juxtaposed with modern, sleek skyscrapers; sophisticated nightlife; and bustling cities. Even more significant, its citizens are truly an example to the world of stoicism at its finest. When you see how the Japanese people have come together as a nation to help each other recover from devastation and loss, you will be touched and impressed. So there’s no better time than now to see what this beautiful country and its citizens are all about. Check out our Japan Panorama tour to get all the details about where we’ll be going, what we’ll be seeing, and the fun things we have in store for travelers. If you have any questions, feel free to reach out to me or speak to a member of our reservations team at 800-555-5765. 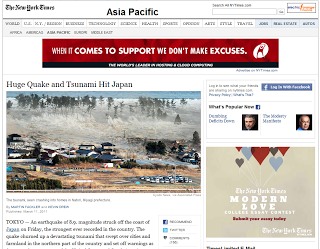 A month has passed since the devastating earthquake and tsunami struck Japan. 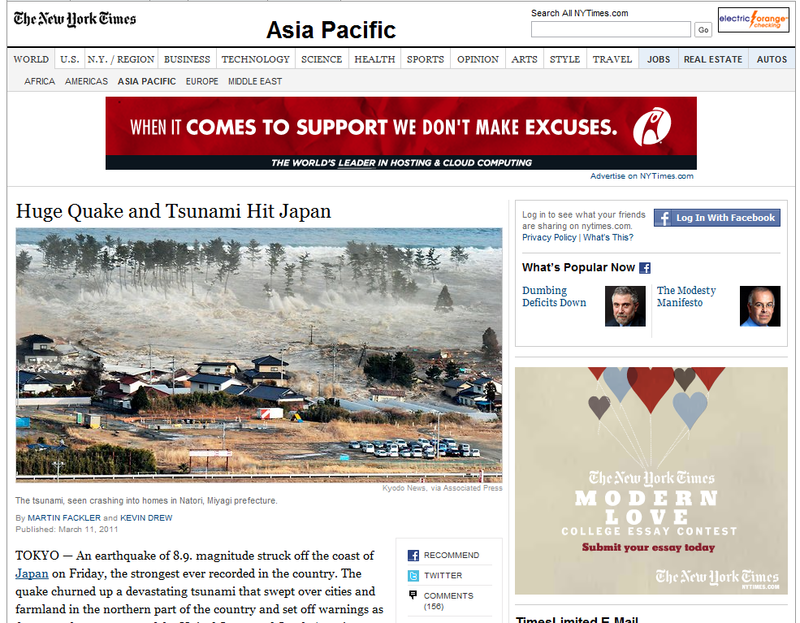 And as you know, Japan is being rocked with aftershocks and the nuclear crisis continues to threaten the country. You would think that the Japanese people would be in a state of mayhem and disorder, but it’s quite the opposite. What we’re seeing in Japan is how evolved, calm, and reasoned people behave during a crisis. There’s no looting nor protests, and everyone is trying to help one other. It is the dignity and grace of the Japanese people that make their country so wonderful. For example, right now the cherry blossoms are in bloom in Japan. Their blossoming sparks celebration. People go outside and enjoy picnics, parties, music, and the beauty of the trees. But this is not the case this year. In the southern part of Japan, the damage was minimal compared to the north. But the people in the south who aren’t dealing with the aftermath of the disasters feel that it’s not appropriate to celebrate while their countrymen are suffering so much. Instead, everyone is cutting back on everything. From cherry blossom celebrations to ordinary things, such as electricity and water to conserve resources. They’re doing this to stand in solidarity with their countrymen and women, and essentially, to do whatever they can to help one other out. There’s a strong sense of responsibility in the Japanese culture and psyche. Their consideration of one another is remarkable and worth appreciating. It’s also one of the many reasons why we want to resume tours to Japan as soon as possible. However, we won’t go back until we feel it’s safe for our travelers. Unfortunately I don’t see us resuming our Japan Panorama tours this year. The touring season is very short in Japan, and so we’ll have to wait until 2012 to go back. But until then, we can help Japan recover through donations. We’re always looking for ways to get money directly to those who need it the most, and right now we’re asking you to make donation to Doctors Without Borders and the International Red Cross. Thank you for your help. I know the people in Japan truly appreciate it. The complex issues around Japan’s nuclear crisis are not short term. 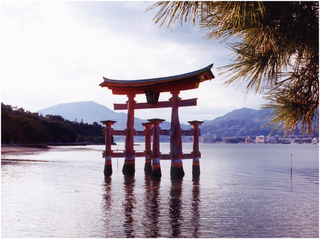 And as a result, Friendly Planet Travel is suspending our Japan Panorama tours. We always act in the best interest of our travelers, and their safety is our number one priority. So the tour will remain suspended until we are certain our travelers can visit Japan safely. If you are booked on one of our Japan Panorama departure dates, we’ve already contacted you with this news. You’ll be able to book any one of Friendly Planet Travel’s other tours. Even if it’s sold out, we will work with you to get a tour you want. Or if you don’t wish to do that, you can receive a full refund. I’m saddened to see Japan suffer like this, and our thoughts go out to everyone in Japan as they deal with the aftermath of the earthquake, tsunami, and now a nuclear crisis. Hopefully Japan will be able to get the nuclear problem under control soon and start the recovery process. We will certainly reinstate our tours to Japan the moment it looks as though our travelers will be safe. If any news on this situation changes, watch this spot for updates. In the meantime, we are urging everyone who can to donate whatever amount is possible to Doctors without Borders or the International Red Cross. Both agencies are very much engaged in helping the people of Japan recover from the horrific disasters of the past weeks. Since my last update on Japan, I’m happy to report that our representatives in Tokyo are safe. We also have been in contact with our airline partners, Singapore Airlines, who have extended the deadline to cancel flights to Japan without penalty from March 20 to April 10. That means insurance coverage is guaranteed only through April 10. However, I believe this deadline will be pushed back, as the nuclear emergency in Japan has complicated things. So in order to make sure our travelers don’t suffer unnecessary penalties for canceling their April 19 departure or later for the Japan Panorama tour, which is not yet protected by waivers from suppliers, we’re not making any changes or canceling any tours at this time. If you’re on our April 19 Japan Panorama departure, we’ve already contacted you with a list of options to choose from at this time, including booking another Friendly Planet Travel destination or a later Japan departure date. Once we have a better sense of damage to the particular regions visited on the Japan Panorama itinerary, we will be better able to determine how to proceed. I want to assure you that we will act in your best interests. Flip back to my previous post to get more details about this decision. Amid this disaster that has reshaped Japan physically, it’s clear that the Japanese people are methodical, strong, and united. One journalist I heard this morning on the BBC spoke of spending the night in a standing apartment in a village in the earthquake zone. The family who lives there has no electricity, water, phone service, and very little food. Despite this, the journalist was welcomed warmly and invited to share whatever meager resources the family had. The journalist was surprised by the lack of hysteria and the stoic, calm attitude of the people she has met. This is just one of the reasons why people — especially those of us who value independence, strength of character, and the ability to look ahead and work toward a better future — will not cancel, but postpone travel to Japan. And, at the first possible moment, they will make a beeline to be among the first to witness the recovery. Friendly Planet Travel is looking for the best ways to help the Japanese people at this terrible time. We will get back to you with some suggestions for places to send donations that assure the help gets through quickly and to those who need it the most. In the meantime, we are recommending Doctors Without Borders as a good place to send donations. They are very active in the Japanese recovery and have indicated they will need special funding to handle the crisis. I’ll continue to post updates to the blog, Facebook, and Twitter about the situation in Japan. This post has been updated here. 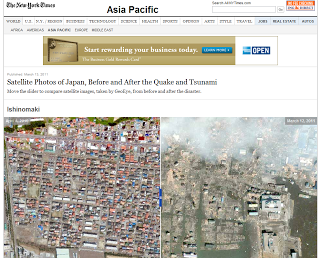 I don’t have to tell you about the natural disasters that struck Japan, devastating the country. I love Japan and am heartbroken to see this beautiful country go through this horrible event. Our hearts go out to everyone effected by this disaster. Thankfully, Friendly Planet Travel does not have any travelers in the country at this moment. However, we do have a scheduled departure date for our Japan Panorama tour on April 19, which is presently on hold. For the moment, we have been informed that tickets issued for travel to Japan can be cancelled without penalty only through March 20. After that date, issued tickets can be cancelled, but for a penalty of $100 per person. Since we have not been able to reach our land agents in Japan yet, we can’t determine if land penalties will be waived for April departures. We believe, however, that all of our suppliers will be lenient under the circumstances. It is out of the question to even begin to determine the extent of the destruction in Japan at this early hour. In fact, a second earthquake occurred just a short while ago in the Nagano area, and there are likely to be aftershocks in the hours and days ahead. In order to determine if travel in April will even be possible, we will need to assess the viability of the buildings in the cities where our travelers would stay. In the best case scenario, this will take weeks. The safety of our travelers is always our number one priority. We will need to wait a few days until we make contact with our representatives on the ground in Japan. From there we’ll determine how cancellations of tours for April will be handled in order to make a final decision about our departure dates. 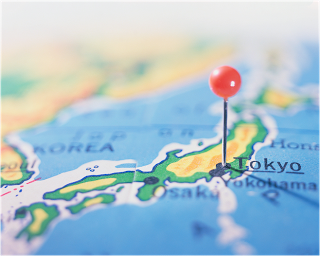 If you’re one of the travelers booked on our April 19 Japan Panorama tour, we are contacting you right now to give you all the information we have. Once the options are known, we will send them to you without delay. And be assured that no matter what option you choose, we will work with you to ensure you get a trip you are happy with. The tsunami that hit Japan triggered tsunami alerts in other parts of the world where we do have Friendly Planet Travelers, including the Galapagos Islands and Costa Rica. I spoke with our representatives in the Galapagos Islands and they they told me everyone is safe and has been moved to higher ground until the alert expires. Costa Rica was issued a “green alert,” which is considered not threatening. In events such as these, it’s a good time to remind you of the importance of buying travel insurance. If your trip is cancelled, travel insurance typically covers up to the total trip cost. But there are some caveats. In this case, travel insurance will cover the trips that are cancelled right now, that is, for departures through March 20. For the moment, airlines are waiving cancellation fees only through March 20 and insurance companies are following suit. It is to be seen how this disaster evolves. If it is not possible to conduct tourism as usual, that March 20 date will be moved back, and the coverage will also be extended. Please be patient. The situation is still evolving, and it will take a few days to understand the full impact of the earthquake and tsunami. But be assured that we’re working 24/7 and monitoring the situation closely. I will continue to post updates on the blog, Facebook, and Twitter as news develops. Most importantly, keep everyone in Japan in your thoughts. We will be creating a way you can help the people of Japan. I’ll tell you more about that in a future blog post.